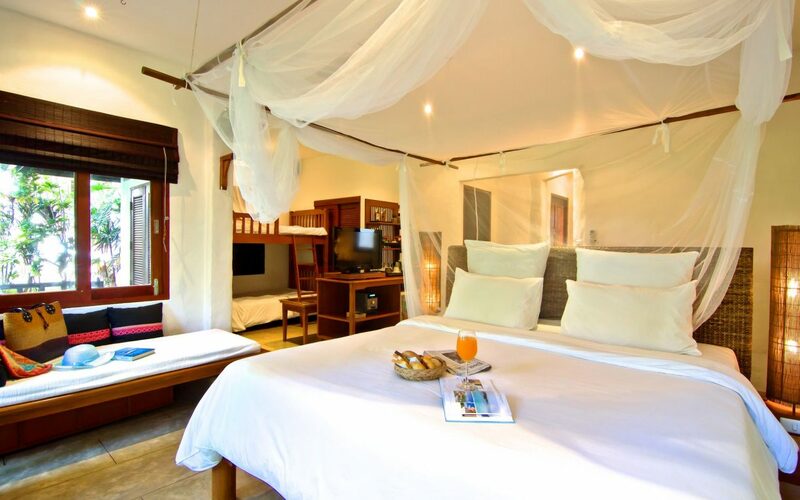 Located on the Mae Kok River, the hotel is around 1.2 miles from Chiang Rai town. The hotel has a spa and wellness centre with outdoor treatment rooms and a beautiful swimming pool. Each of the Legend Resort's spacious and contemporary guestrooms are equipped with a natural stone outdoor shower. The open Sala living area has large windows which look out to river or garden views. Guests can enjoy fine cuisine at Wine Casa Bar and Restaurant.